by Shirley Sharpe. 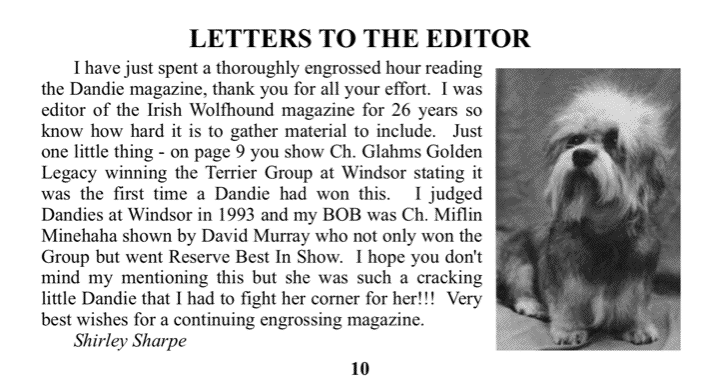 I have just spent a thoroughly engrossed hour reading the Dandie magazine, thank you for all your effort. by Janet Roslyn. I have always been of the opinion that this title is correct. 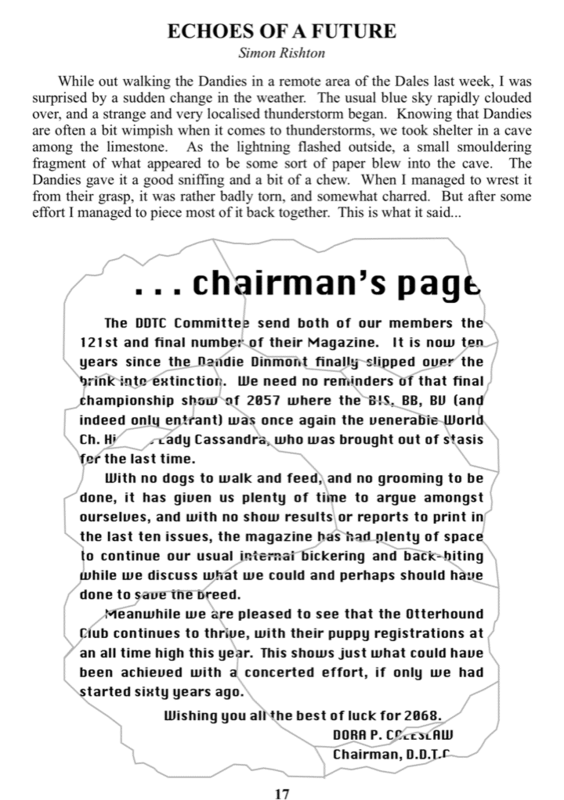 I often spend time looking through my collection of old Club Magazines and thought that this Chairman's report was possibly worth a mention. by Simon Rishton. While out walking the Dandies in a remote area of the Dales last week, I was surprised by a sudden change in the weather. The usual blue sky rapidly clouded over, and a strange and very localised thunderstorm began. by Deidre McLeod. Thinking back I had a good childhood. 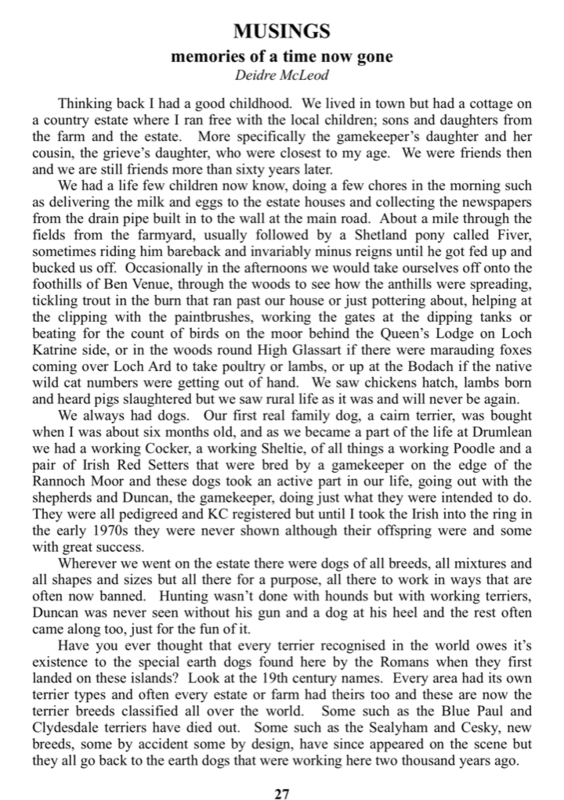 We lived in town but had a cottage on a country estate where I ran free with the local children; sons and daughters from the farm and the estate. by Yvette Andrewartha. 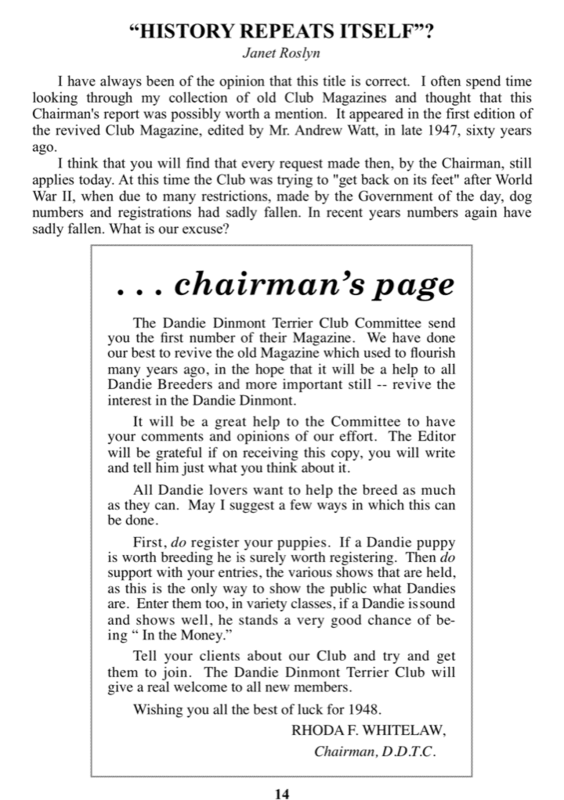 Received wisdom says that Dandies are stubborn and impossible to train! 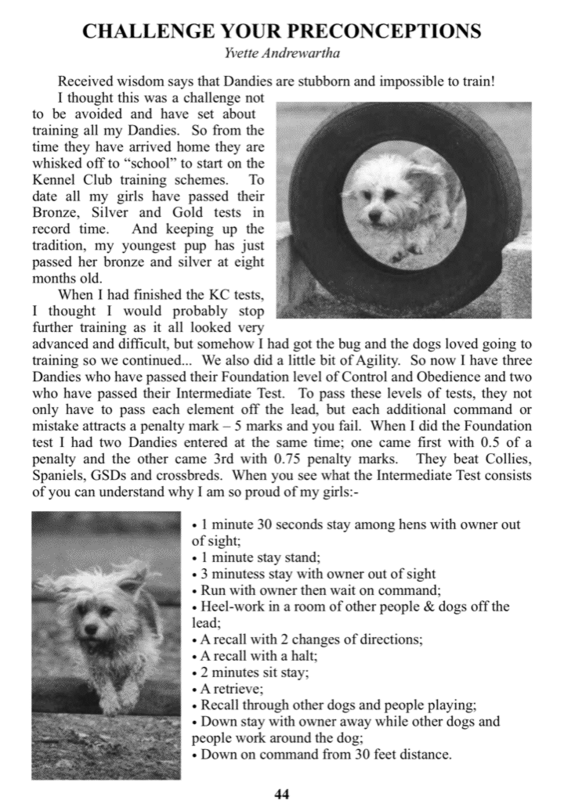 I thought this was a challenge not to be avoided and have set about training all my Dandies.